The courses that are offered through the Driver Training Section include: The Precision Immobilization Technique Course (PIT). This is a highly sought after course as it gives not only the officer, bu the agency an option for bringing high speed, dangerous vehicle pursuits to an end in a precise manner, while keeping the safety of the motoring public the most important goal. In addition to the P.I.T. Program, we also offer the Precision Immobilization Technique Instructor Course. This is a course where instructors learn not only the dynamics of the performance of the technique, but the liability aspects as well. The Instructors then go through the training of teaching the program back to the Staff Instructors to ensure the integrity and validity of the program. The Driver Training Section offers the Driver Training Instructor Program (D.I.T.P.). This rigorous course is a very challenging yet rewarding course for officers who are already General Instructors. This course is designed to sharpen both the officer’s driving skills as well as their teaching skills. In today’s society where the emergency response by law enforcement is one of the highest liability areas, it is our goal to ensure that officers receive real world training so they are ready for emergency situations. The Law Enforcement Emergency Vehicle Operators Courses are offered in two separate levels. 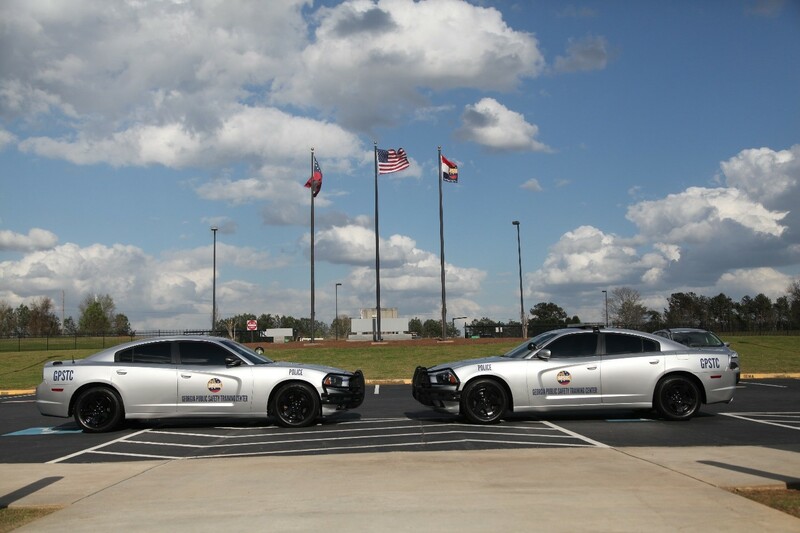 EVOC Level 1 is a slightly advanced version of the Basic EVOC Course that is now taught to Basic Mandate Recruits during their training in the Police Academy. The Level 1 Course is taught to veteran officers who have never been through the Basic Course. This course consists of precision driving, braking, and skid control. The Level 2 EVOC course is a more advanced class which has been recently updated and is now a more demanding course, designed to challenge officers to push their skill sets to new areas in order to build their confidence in their driving capabilities. This program consists of emergency response as well as pursuit driving where the officers learn to safely negotiate different types of curves while employing the apex method. This training provides the officer with a safer line of travel while operating the emergency vehicle and using “due regard”. The High Center of Gravity Course is another highly sought after course in today’s law enforcement community. We are seeing more agencies transition to the Sport Utility Vehicle as a patrol vehicle for its officers. This course allows the officer to gain the confidence so they can safely maneuver a vehicle of this type in an emergency response and/or pursuit situation. The Police Motor Officer Techniques Course is offered in two separate levels. Level 1 consists of Basic motor skills while Level 2 is designed to advance the officer and build the officer’s confidence and capabilities from Level 1. The section conducts a Night Driving Techniques Course. This course is designed to help the officers with the techniques of patrolling at night, while providing some best practices for overcoming night blindness caused from various light sources. This course also deals with some of the physiological components of perception and reaction while operating a vehicle in an emergency response and/or pursuit situation. The Basic All-Terrain Vehicle Operators Course is also offered through this section. This course is a very beneficial course designed to assist officers to not only patrol areas that are not accessible to normal patrol vehicles, but it allows them to provide first response and rescue capabilities to injured victims and lost or missing persons. The Dynamics of Vehicle Pursuit Course is a course that challenges the officer to look at the psychological components of the vehicle pursuit. This course deals with how the officer’s brain functions in its various capacities while performing the critical tasks of decision making during a pursuit. Since vehicle pursuits are a high liability for today’s law enforcement agency, this class is a very useful resource for our peace officers throughout the State.